Thank you for your question, here is a link to compatible cartridges for the Canon Pixma MG4200 - https://www.cartridgesave.co.uk/ink-cartridges/Canon/Pixma-MG4200.html If you require any further assistance then do not hesitate to contact us. The Canon Pixma MG4200 is a single piece of equipment that allows for printing, scanning and copying, making it an ideal all-in-one device for a home or small office. The high resolution results make for an ideal printer for photos, though there is no loss of quality when it comes to the scans and copies. 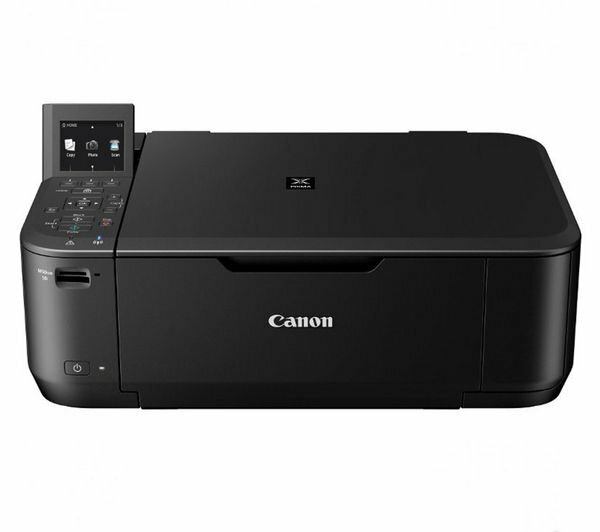 The Canon Pixma MG4200 is worthy of a place amongst a list of all-in-one printers from which to choose for a cost-effective and reliable option. It is easy for a Canon MG4200 to blend into the background and take its place amongst other pieces of office equipment due to its compact size and understated appearance. It has a flatbed scanner that can accommodate various sizes of paper for accurate scans and copies. There is an LCD screen alongside the control panel to display the function being completed at any given moment. The compact design of the Canon Pixma MG4200 is one of the main advantages of this device, making it suitable for those who only have a small amount of space to play with. The USB port allows for a traditional connection to be made with a cord in order to print directly from a PC or camera. However, it also allows printing wirelessly and from a memory card, meaning that this printer is highly adaptable. The high resolution makes it a good printer for photos. Though the size of the Canon MG4200 initially appears fairly compact, it needs to be remembered that the release of the tray means it requires a little extra room. The tri-colour cartridge can be a disadvantage as the inks are never used up equally.